Feb 2013, Bethlehem, West Bank. 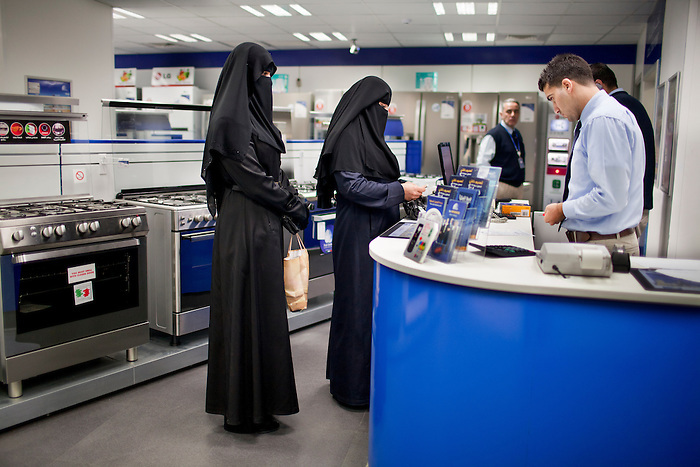 Lina and her sister are going shopping for their house at the Sbitany center, a company of household appliances and one the palestinian biggest business successes. Lina studies english at university. With smile in her eyes she is very happy to accept when asked the permission to be taken in photo. For most female students, the top one worry in life is to find a husband with a good situation. Lina is no exception.